The C Eskimo tetratonic (Alaska : Bethel) uses five notes per octave. Because of this same reason it is a member of the so called Pentatonic -scales that have Five-note (or Five-tone). On the piano keyboard, it is made up of no black keys: no and four white keys: C, D, E, and G. This combination makes this scale - as well as the C Eskimo Heptatonic, C Eskimo Hexatonic 1, and C Eskimo Hexatonic 2 (Alaska : Point Hope) - as great choices for composing or improvising Alaska music. If we take a look a the key signature of the C Eskimo tetratonic (Alaska : Bethel) Scale we can find it has no flats and no sharps. 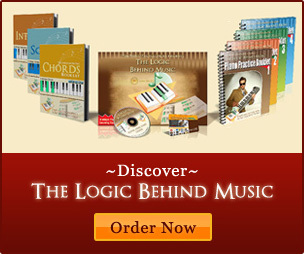 Therefore, on sheet music you will find no accidentals on the score. The notes of this scale are: C, D, E, and G.
How to play the C Eskimo tetratonic (Alaska : Bethel) scale? To play the C Eskimo tetratonic (Alaska : Bethel) on your piano, start on the Root note. Play C, the first note of the scale. Continue with rest of the notes that shape the scale, play D, E, and G.
Return to the home of the C Eskimo tetratonic (Alaska : Bethel) scale. Play again C -the tonic of the scale- to mark its ending. Go down. Play G, E, and D.
Reach the home again. Establish tonality by playing the tonic of the C Eskimo tetratonic (Alaska : Bethel) scale: C.
Tip. 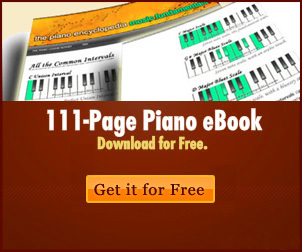 If you want to learn how to improvise or compose your own music using the C Eskimo tetratonic (Alaska : Bethel) scale or any other scale, check out our piano improvisation and composition lessons and enjoy thousands of interactive multimedia piano animations.